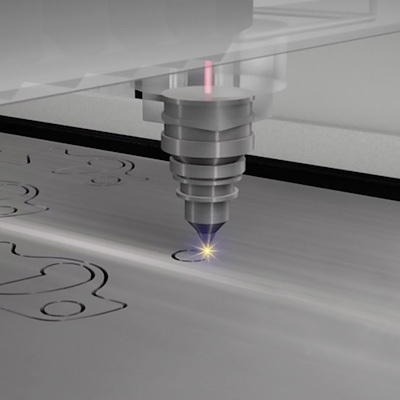 Take advantage of the CNC market leader’s expertise in high-quality laser applications. 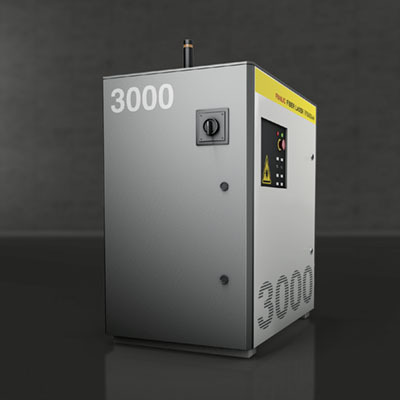 FANUC’s fully integrated solution features specifically designed fiber and CO2 laser sources from 1 to 6 kW, CNC with integrated laser control and high-performance drive systems – all bundled into an interfaced package that delivers high-efficiency metal sheet separation with 99.9% reliability. To find the right solution for your application, just ask. We are always glad to advise. 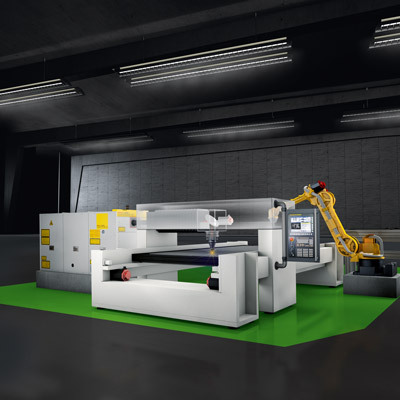 To increase your options, FANUC has developed a new fiber laser that shares the same cutting machine technology as FANUC’s existing CO2 laser sources. So whether you want to run fiber or CO2 laser, all you need to do is change the source – the base stays the same, saving you money and making you more flexible. Choosing the right laser source for your application depends on more than just material thickness. Factors such as type of material, speed, finish and energy consumption also need to be taken into consideration. Lending you their full support, our experts are always on hand to advise you on creating the best possible setup. Just ask. Offering superb cutting performance on thin as well as thick metal, the new FANUC Laser C3000i-C competes with machining centres when it comes to producing smooth edges. CO2 lasers are ideally suited to applications requiring a continuous wave. When equipped with 2-D and 3-D cutting technology, they provide a reliable, precise and cost-effective way to cut sheet metal. 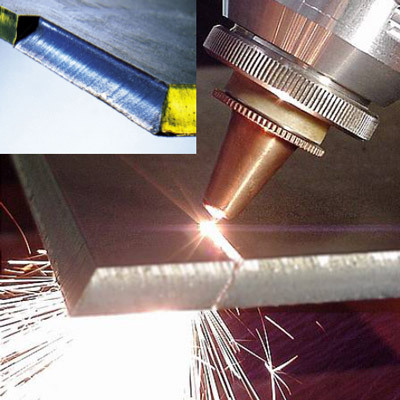 Producing smoother cut edges than fiber, FANUC CO2 Lasers ensure a better parts fit regardless of material thickness. They are also energy efficient – with FANUC smart solutions providing additional gas and energy savings. FANUC’s range of purpose-built drive systems comprises servo, linear, torque and spindle motors as well as perfectly matched amplifiers. Combining energy efficiency with maximum reliability, acceleration and speed, these provide the perfect match for FANUC Laser sources. 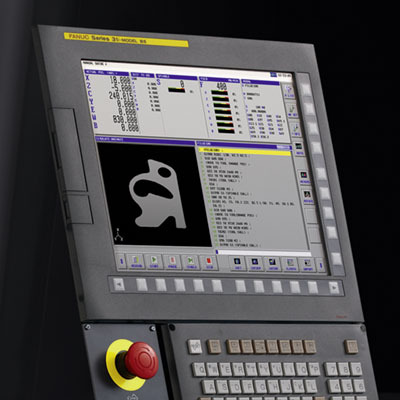 More than just a laser control, FANUC’s laser CNC panel provides top performance for both laser and machine tools. Featuring pre-installed interfaces, the control’s intelligent software not only enables highly efficient laser processing but can also be used to deploy functions offered by FANUC standard CNCs and CNC accessories. The most seamlessy integrated robotic laser package from single supplier FANUC. Suitable for welding and cutting, delivers optimal quality to improve manufacturing efficiency. 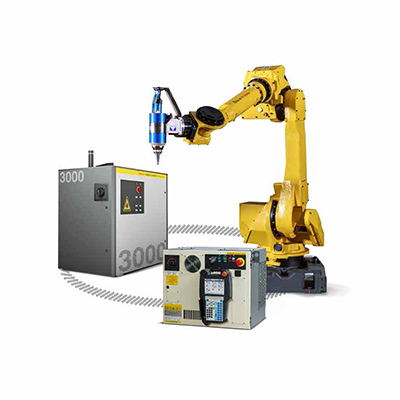 Supplementing your FANUC Laser package with FANUC handling robots is easy since all FANUC CNC systems and robots share a common control platform. Robots can be integrated quickly and easily into your laser machine processes, with machine/robot connectivity achieved via a standard interface. 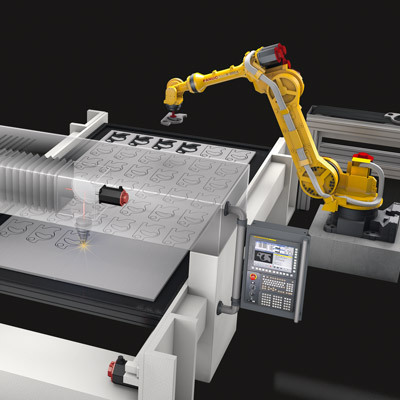 The CNC’s integrated screens monitor and control the robot and vice versa – something that can be further enhanced using FANUC handling solutions equipped with visual detection. Just ask – we love coming up with solutions. Providing long-term, cost-effective productivity you can rely on, FANUC Laser systems are designed to achieve extended life spans and require a minimum of maintenance. Built around an upwardly scalable operating concept, they minimise training costs throughout their service life. 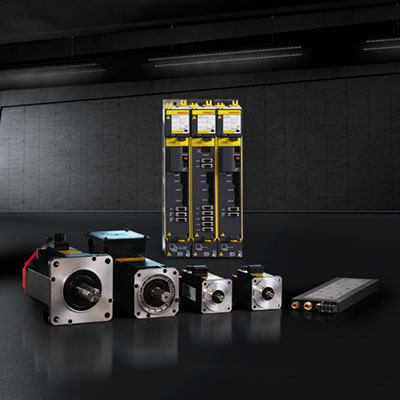 High-speed total laser command is synchronised with the axis control while the real-time performance of the FANUC Serial Servo Bus (FSSB) makes superfast fly cut applications possible. 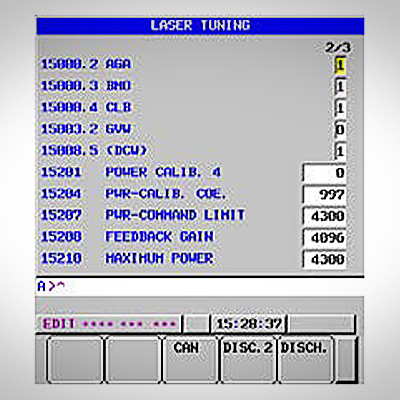 FANUC CNC software comes with a full set of laser commands and diagnostic tools as well as powerful CNC software functions designed to significantly decrease cycle times and make processes easier. 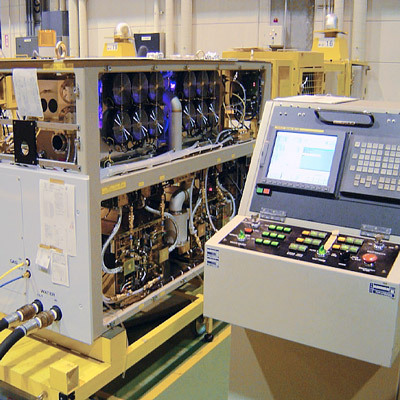 FANUC keeps your maintenance costs down. For example, our turbines are guaranteed to run for 24,000 hours without an intervention. 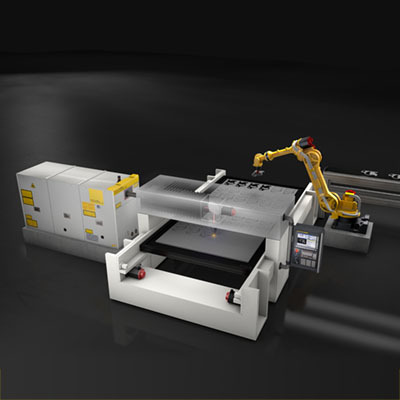 For 3-D laser machining, FANUC Laser simultaneously controls up to six axes and can support various 3-D laser cutting heads. Other smart functions, such as TCP programming, the teaching function and W-axis tracing control enhance your productivity even further. 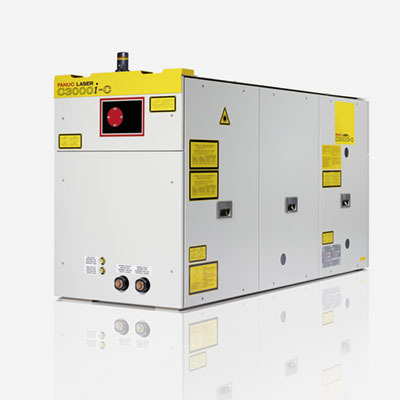 All FANUC Lasers, CNCs, motors and amplifiers are engineered to make the most efficient use of energy and provide the highest performance at the lowest possible rates of energy use. Dedicated energy management tools support this further.